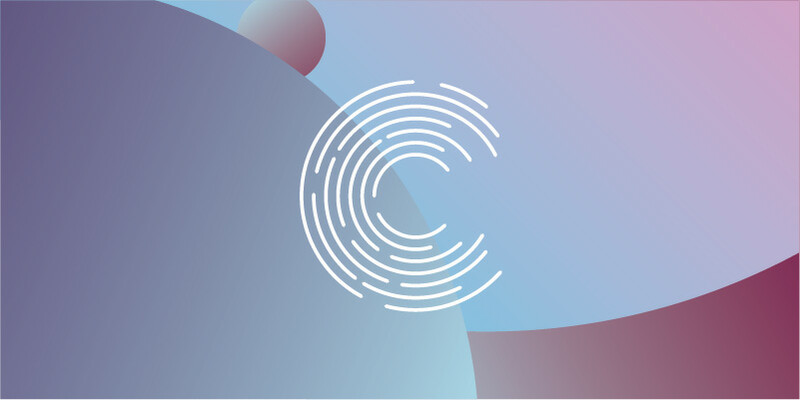 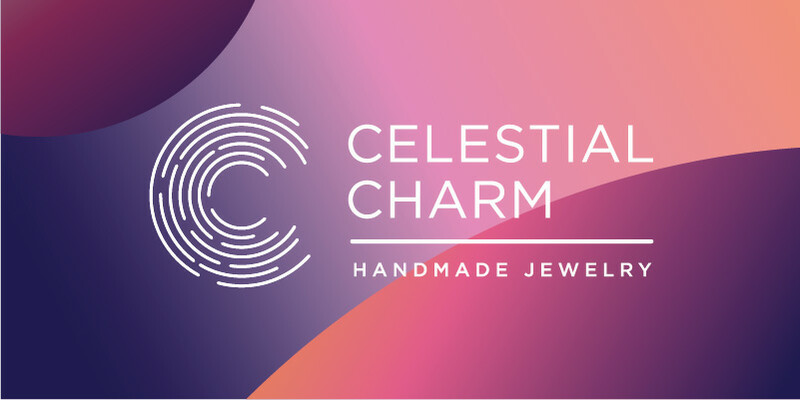 Typographic logo based on the path of stars in the night sky. 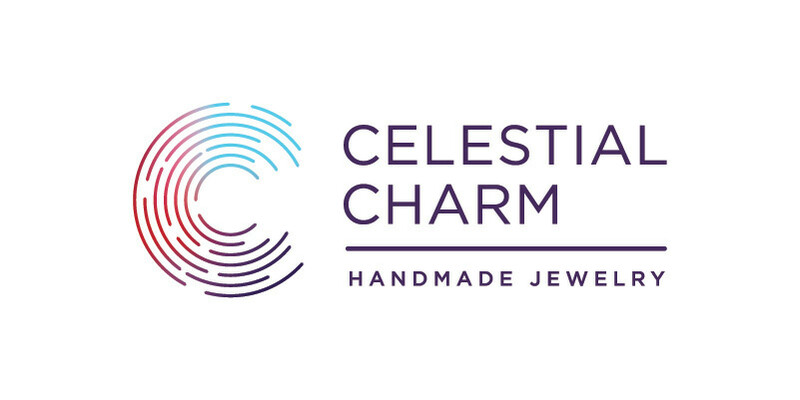 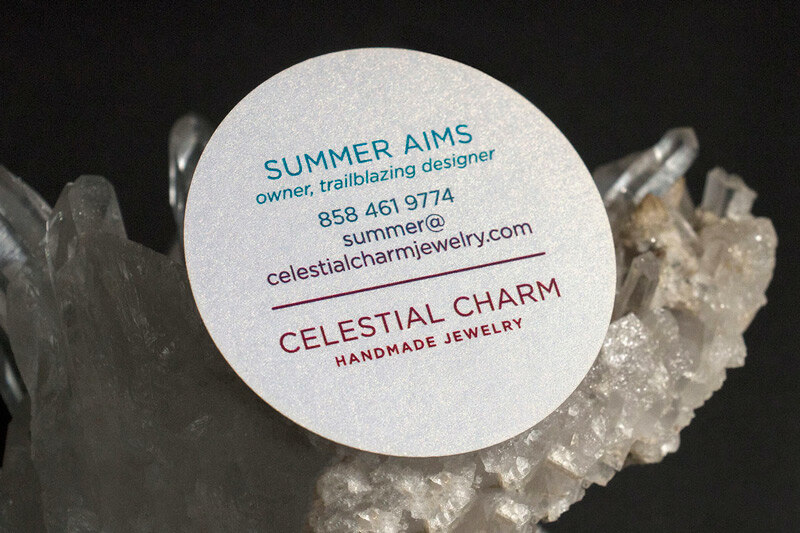 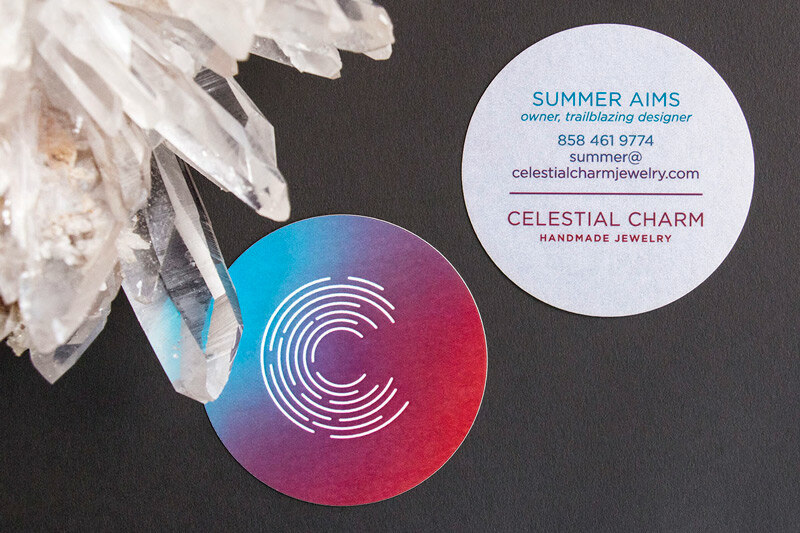 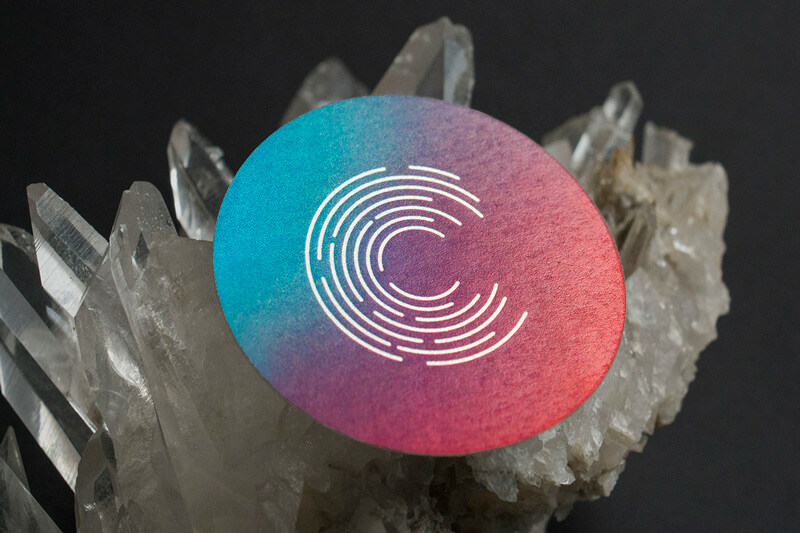 Celestial Charm takes inspiration from the cosmos and the natural world, so we printed business cards and earring cards on iridescent paper to capture some cosmic magic. 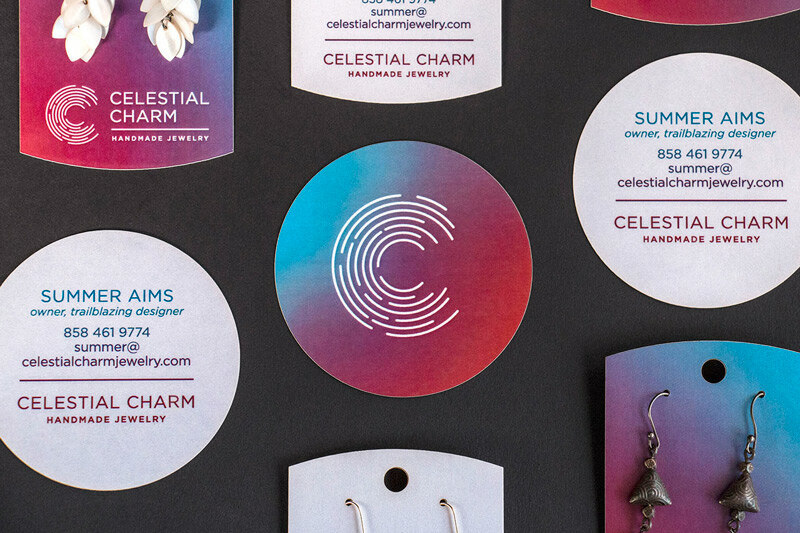 Circular die-cut cards help to reflect the style of the logo while standing out from the crowd. 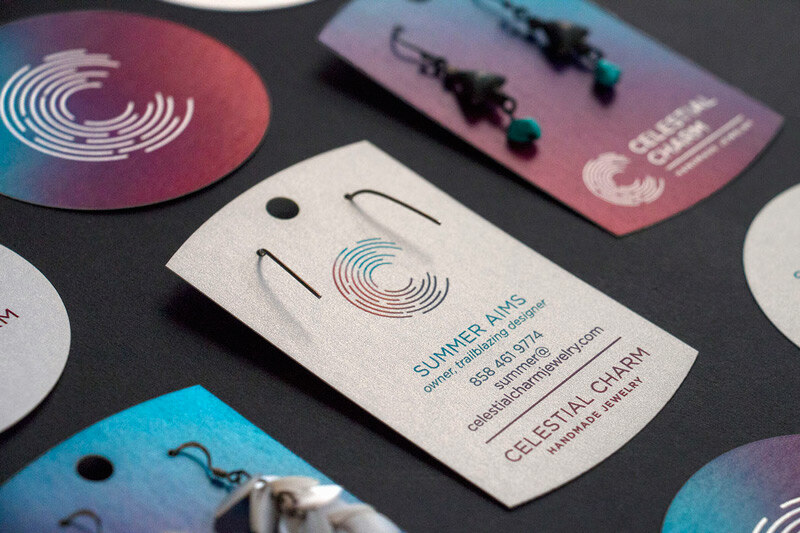 Earring cards are double-sided and serve as an additional business card option when the earrigns are removed.